Juice cleanses have become increasingly popular, but the science behind cleansing states your body knows how to cleanse itself. In fact, there are no known long-term health benefits to cleansing. So, do you really need to starve yourself with green juice to detoxify your body? What does it mean to cleanse? Many people believe cleansing is like spring cleaning for your body and helps to restart your metabolism and improve digestion. Most cleanse programs call for a limited caloric intake over a shortened period of time to give your digestive system a rest and help flush your body of toxins. By consuming only juice, you are eliminating the majority of fiber from your diet, which gives the digestive system a break. Cleansing advocates argue this can help to revive sluggish digestion. Supporters of these programs also assert that participating in a cleansing program will help you lose weight, clear your skin, feel less bloated, and eliminate headaches. However, while these short-term results may be beneficial, there is no long-term scientific evidence that supports the lasting benefits of juice cleansing. But what are the health benefits of these cleansing options? Sure, they are a quick way to lose water weight, but do they actually help your digestive system? The answer is no! To date, there’s no solid science backing any of these cleansing or detox approaches for weight loss or health. Your body has built-in mechanisms for detoxification, including your liver, kidneys, and gastrointestinal system. Swallowing some kind of solution isn’t going to further enable those organs, so the whole premise of detoxifying is inaccurate. Our organs are well equipped to handle detoxification. Our kidneys and liver are well equipped to handle the detoxification process—in fact, that’s what they are there for! Your kidneys’ primary function is to filter your blood. The organ contains millions of microscopic units called nephrons, which sift through your blood to eliminate waste and regulate your body’s fluid and electrolyte balance. The liver, on the other hand, is the primary detoxifying agent. It is responsible for keeping pathogens from entering the bloodstream. It also eliminates environmental toxins and detoxifies chemicals. While these short-term results may be beneficial, there is no long term scientific evidence that supports the lasting benefits of juice cleansing. The best thing to help your body detoxify is actually to consume whole fiber, found in fruits and vegetables. The best thing to help your body detoxify is actually whole fiber, found in fruits and vegetables. Research shows that your body can actually benefit more from eating whole foods as opposed to drinking them in juice form. If you really want to incorporate juice in your diet, throw everything in a Vitamix, which keeps the fiber intact. 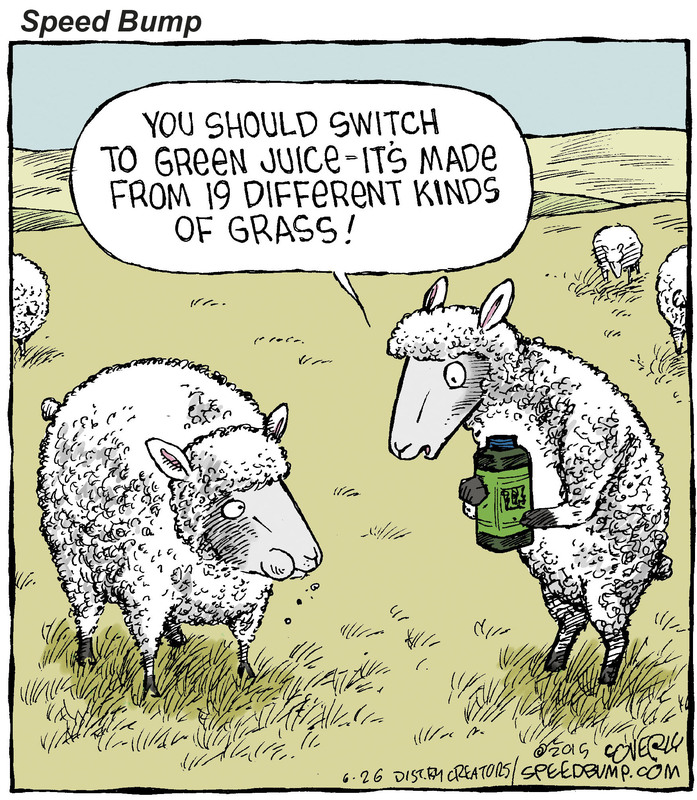 If you are substituting soda for a green juice—great! But if you normally eat a balanced diet filled with fruits and vegetables, cleansing isn’t going to do very much. So how do these cleanses aid in your body’s natural detoxification process? They don’t. In fact, there is no clinical proof that juices aid your organs. One of the major issues with juicing is that it eliminates fiber, which your body needs to maintain proper digestion. Additionally, when fiber is eliminated from the fruit or vegetable, the fructose content skyrockets! Your sugar levels spike because there is no fiber content to slow digestion. The only benefit to juice cleansing is actually the elimination of foods containing saturated fat and refined sugar. 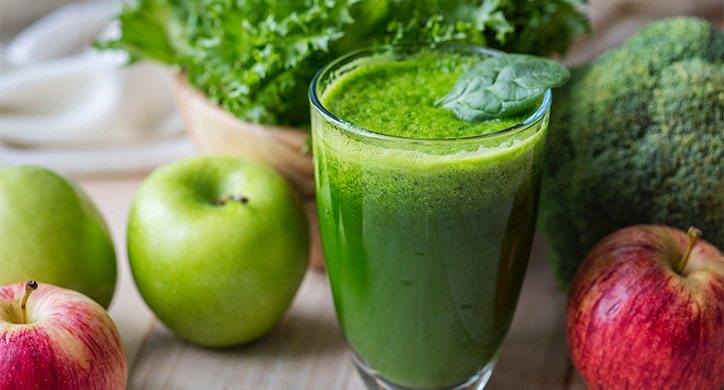 In a study conducted by the Food Technology Journal entitled “Detox Diets Provide Empty Promises”, Roger Clemons, a professor of pharmacology and pharmaceutical sciences explains why people can see positive results immediately after a cleanse. The article acknowledges that cleansing will help you drop a few pounds, but warns that this is strictly because of the low caloric intake. Reports of clearer skin can be attributed to the increased water you are told to drink and the reduced headaches can be attributed to substantially lower alcohol and caffeine levels. Overall, the health benefits that you are experiencing are from a dramatic diet shift and not from a “detoxifying” component of the juice. Eating clean, whole foods will help your body detoxify itself. It is important to note that juicing eliminates fiber, but blending shakes does not. Like Dr. Merrell, Dr. Joy Dubost has acknowledged one benefit to cleansing programs. In a recent article published by Time Magazine, Dubost agreed that people looking to drastically change their diet may benefit from a radical approach to “get your head in gear”. But, keep in mind if you are preparing to shock your system with a cleanse, it’s the days after the cleanse that matter most. If you return to a diet high in sugar or saturated fat, you will put back on the weight and then some. You should also be careful if you are using cleanses as a crash diet and will resume drinking alcohol afterward. After you cleanse, your digestive system is fragile so you should ease back into healthy solid foods. Eating proper foods: Eating foods like green tea, lemon, kale, and artichokes help your liver and kidneys better cleanse your body of its toxins. These foods help your organs neutralize the toxins, and inevitably expel them from your body. Getting enough fiber: Everyone seems to forget about fiber! On average, you should consume between 25 and 30 grams of fiber per day. This is no easy feat! To give this a quick visual – that amount of fiber would be approximately 6.5 apples! Keep in mind though, you don’t want to get all your fiber from fruit as that is way too much sugar. Fiber helps regulate your digestive system and optimizes your GI tract. By improving the quality and the quantity of your daily fiber intake, you can help your body stay regulated. Exercise: People often forget that your skin is the body’s biggest organ. Although the majority of detoxification is reliant on the liver and kidneys, there are trace amounts of toxins found in sweat, so be sure to sweat it out! Sleep: Getting 8 hours of sleep per night will keep your body’s organs performing at their best. There is no research that supports the long-term benefits of cleansing. Your body has the tools to cleanse itself so incorporating a green smoothie into your daily routine is a healthy option, but there’s no need to participate in a juice cleanse. If you have a particularly poor diet and want to get back to a path of healthy eating, we recommend a program similar to “the detox prescription”, which keeps your calorie level up and incorporates a myriad of nuts, fruits, and vegetables. Where Do Our Fruits and Vegetables Come From? Ever wonder where your fruits and vegetables come from? 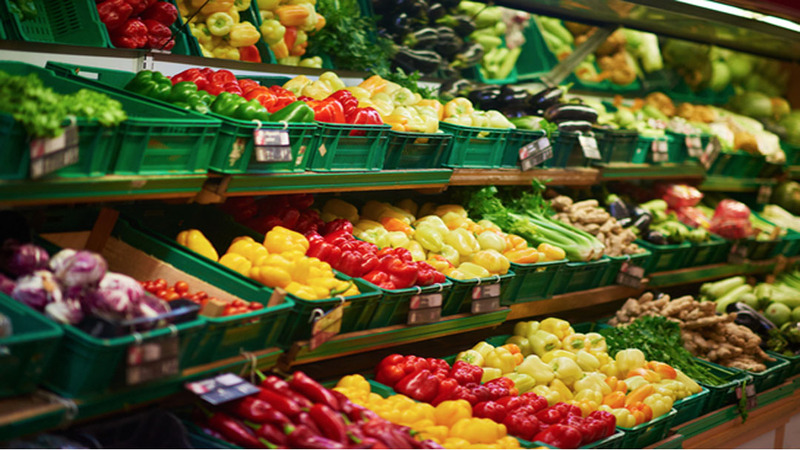 How are "seasonal" fresh fruits and vegetables readily available 365 days a year? After 25 years, the nutrition facts panel is getting an update! Many businesses have already converted to the new label, which begs the question: what changes have been made and what do they mean to me? The Green New Deal: Where’s the Beef? Ocasio-Cortez’s Green New Deal outlines how the ag industry can achieve net-zero emissions in the next ten years, but without any plans. However, farmers have had their own green initiatives in place for years now.